In 1914, Harland Bartholomew became the first full-time city planner in American history. Most of his visionary ideas about comprehensive design are still relevant today, but one stands out among the rest: the idea that aesthetic, natural beauty should be preserved for a neighborhood to thrive. John Harbert must have been paying attention. By 1974, Harbert had stewarded his international construction company into the world’s ninth-largest corporation, and looked to Bartholomew and Associates for the development of Harbert-Equitable’s most ambitious project yet: the creation of a sustainable, self-sufficient town on two tracts of land south of Birmingham. Riverchase never became the Alabama town Harbert envisioned – it was annexed into then rapidly growing Hoover in late 1979. But, it did become both the first architecturally and environmentally controlled community in Alabama history, as well as one of the most desirable neighborhoods in the Southeast. From the beginning, Harbert imagined Riverchase existing in harmony with nature, with the lush scenery enriching the lives of the community’s residents and the residents serving as stewards of the land. To Riverchase’s great benefit, that harmony still exists today, and the community is still one of the great neighborhoods in the Southeast. Riverchase isn’t just a community whose strong roots reach all the way back to Harland Bartholomew. It’s also good earth for a homeowner and a family to put down roots of their own. From its beautiful environs to its wonderful homes, first-rate country club and proximity to major roads, shopping hubs and Hoover’s sterling school system, Riverchase has something to offer everyone. If residents of the original circa 1900s mining town of Acton, Alabama, looked into the future, would they have imagined that the area would develop into the multimillion-dollar planned community it is today? 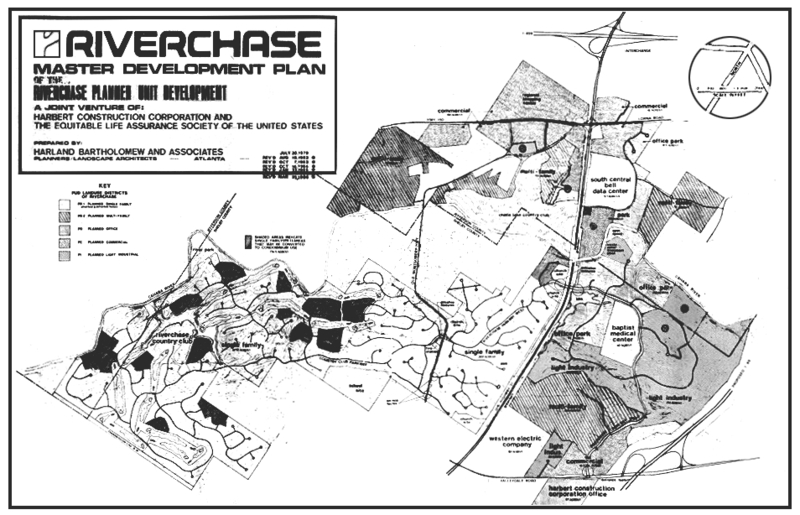 In the late 1960s, John M. Harbert III (1921–1995), founder of Harbert Corporation, saw tremendous potential for land in Acton owned by the Chace brothers. In 1974, the Harbert Corporation partnered with Equitable Life Assurance Society of the United States to form Harbert-Equitable Joint Venture, Riverchase. This plan was not a concrete jungle of homes and businesses. The venture called for a careful blending of new development with its surrounding natural landscape. This plan spoke to man’s need to be part of nature, albeit in a new and responsible way. Today, Riverchase is a picturesque community steeped in land preservation, business development, and community pride. The story of Riverchase is conveyed through the memories of its residents in author Heather Jones Skaggs third book covering Hoover city communities. 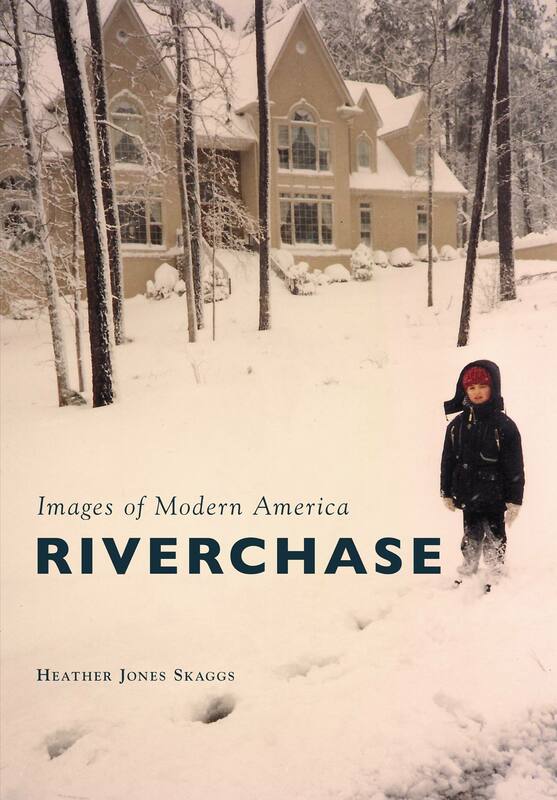 Images of Modern America: Riverchase contains over 100 black and white and full color photographs from the 1970s to present day. Chapter themes include, Holidays in Riverchase, Riverchase Country Club, an overview of land history and development, and Education and Faith. Plant a seed in Riverchase. Grow something beautiful. Riverchase is the oldest planned community in the state of Alabama. Our community features well-made homes, lush natural scenery, the first-rate Riverchase Country Club and an ideal location for raising your family.